Hundreds of students in New Hampshire are making their voices heard after a school board member offended some of them with a comment about teen pregnancy. "I was taken aback, it wasn't something I expected to hear," said Sanborn High School senior Michael Giordano. Giordano was shocked when SAU 17 school board member Dr. Pamela Brown said this at a December meeting. "What, are the students getting knocked up?" Dr. Brown asked as she read a proposal for child care services. The off-color comment about teen pregnancy rubbed a lot of students the wrong way, so they started a petition calling for Dr. Brown's resignation. Within a couple weeks, more than 500 of Sanborn High School's 600 students signed that petition - a movement that took Giordano by surprise. "I didn't realize we have the power to make elected officials listen to people who aren't old enough to vote," he said in an interview on Thursday. The students gave the petition to the school board, along with a letter to explain the reason behind it. 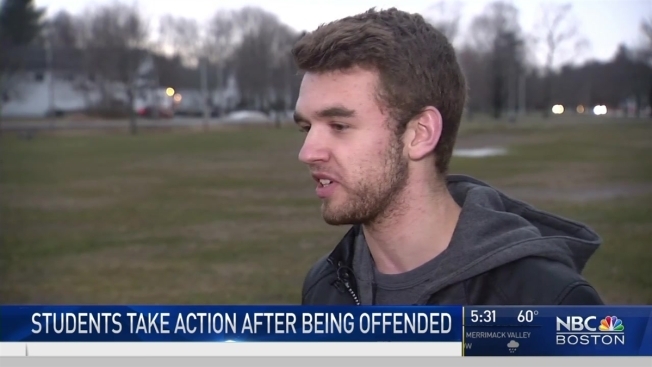 "I think the student body just thought it was an unacceptable comment," Giordano said. In a statement, Brown told NBC Boston, "It was an unfortunate comment, made in haste and I sincerely and publicly apologized." She even went on to praise the students for getting involved, saying, "They are great students and if I were a young student, I would be among them." When we asked Giordano whether he thinks the student body will forgive Dr. Brown, he said, "I hope so." He believes the students' mission has been accomplished without her resignation. "It's really nice to understand that we are being listened to," Giordano said. While the petition initially called for Dr Brown’s resignation, students now tell NBC Boston, they accept her apology and they understand that everyone makes mistakes.